I am writing this post in advance so it is sure to go up, but if all goes well yesterday we should have attended Kevin’s first ever Steelers game! I just want to take the time to wish everybody a safe and happy new year. Have a wonderful time out there tonight, to everybody near and far. 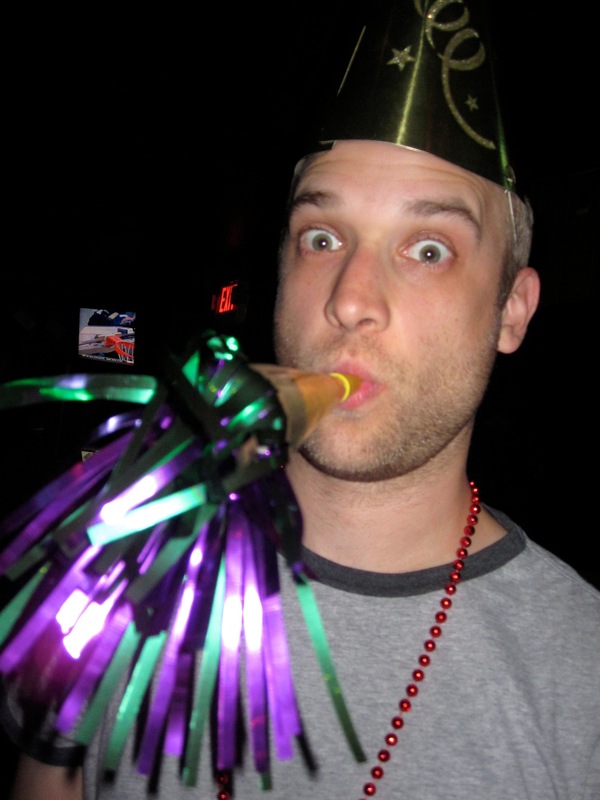 Cheers to you and to 2013. Spotted (literally! ha what humor I have! 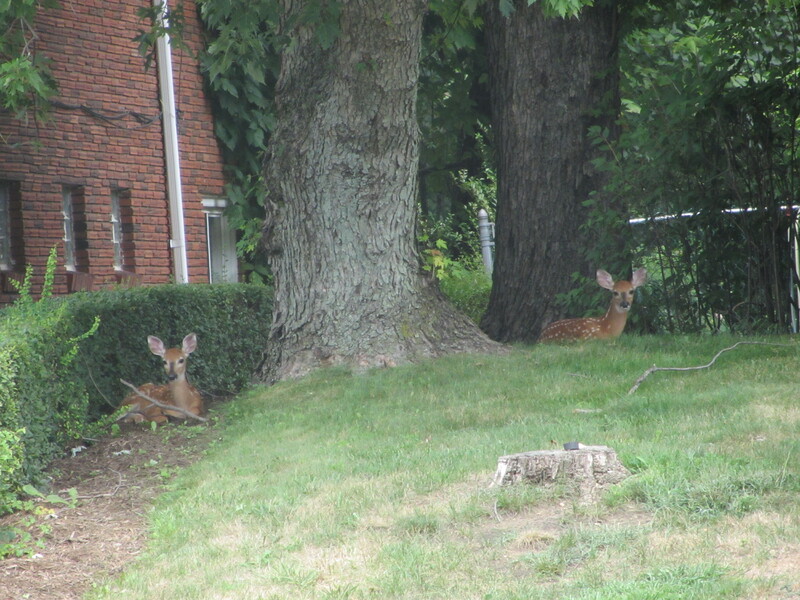 ): Two (now three) baby fawns gracing our yard and the yards of our neighbors. We see them almost everyday! It’s near impossible to complain that they are eating everything when they are this cute. Luckily for us, they haven’t discovered our veggies yet. But I promise from here on out, I will be posting things to keep everything updated! Happy browsing & even happier home ownership! In the meanwhile, any tips for new homeowners? Things you wish you knew then and know now? Thoughts of encouragement? It’s another All-American love story for the ages. I’d first like to welcome all (two) of you here… and thank you for the support in our new adventure. As of post #1, this blog is my own pet project, but it’s inspiration is a shared love between my husband and me. See, we just bought our first real home. I say ‘real’ because we technically are not first time homebuyers, but to us, the first one doesn’t count. (That’s a story for another day.) This time we are hoping we got it right. And we hope to share that and more with you. This isn’t just another blog about young 20 somethings living in a city they love and reno-ing their first home together. OK so maybe it is… but I really do hope to share some insightful things with everybody and to actually contribute to the internet instead of bog it down. I did a lot of research on where to start in blogging, but I figured the best way to start is just to hit the ground running. I think my obsession with researching everything will be very valuable since I will be doing a lot of back work for you! I cannot wait to share with you the great ideas we come up with and the how-to on execution! Stay tuned for the goods! Q) For now, while I still await the closing date and all of those good things that mean it’s really truly beyond-a-doubt ours, let’s pose some questions to the interwebs. All of you out there running successful blogs revolving around your family and your home (renos), how did you get started? Why did you get started? What do you wish you knew when you were writing your very first post?? Not running a family/home blog, what are your answers to these questions? ?